A knight from the land of Balder. 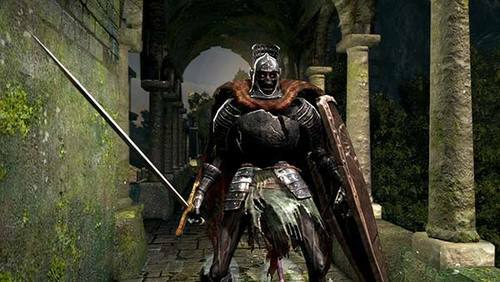 They were led by Knight King Rendal in his quest for glory to Anor Londo. These knights can be found in the Undead Parish and Sens Fortress. 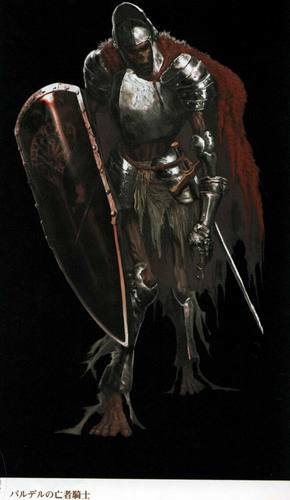 There are three types of Balder Knights: One wields the Balder Side Sword and Balder Shield, another wields a Rapier and Buckler, and the third wields only a Light Crossbow. Worn by the knights of the ancient kingdom of Balder. It is made from thick iron plates. Balder was the homeland of the Knight King Rendal, but it came to ruin after a great many Undead were spawned. The knights of the ancient kingdom of Balder wielded these rock-solid, long swords which are excellent for thrust attacks. Balder was the home of a Knight King Rendal, but the kingdom was reduced to ruins after a widespread outbreak of Undead.